Just as the puck hit the back of the North Metro goal, Matt Crandall felt the gratification. Crandall, a Robbinsdale Armstrong senior, had spent nearly all of the previous 14 months rehabilitating back-to-back breaks to the same bone in his right leg. That included a three-month stay in a wheelchair after the initial break in September of 2010 he suffered while playing pick-up football. It included the jubilation of returning to the Armstrong junior varsity boys hockey lineup by the following January, where he racked up 10 points in a little more than three games. It included another break, this time after a North Metro junior varsity defender fell and slid into his legs, snapping the bone again in the same spot. It included being forced to watch as his buddies played American Legion baseball season last summer. 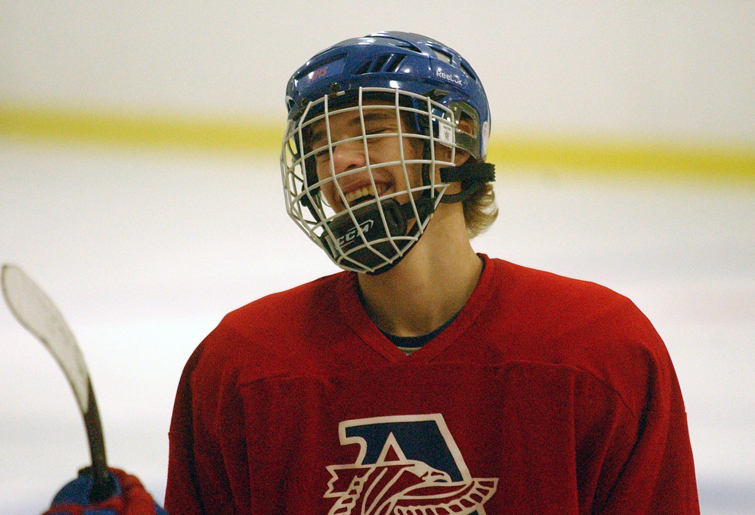 And it included his triumphant return to the ice on Dec. 8, where in the varsity game against the same program he last faced, Crandall scored a first-period goal and assisted on two others in a 4-1 Armstrong victory – the Falcons’ first of the year. Crandall said he wasn’t entirely positive how he’d react when the puck dropped that night. He believed his body was ready. The practice time and the tryout process took care of that. His mind, however, was another matter. His stomach told him that much. He got it on the scoreboard, giving the Falcons a 1-0 advantage 10 minutes, 25 seconds into the first and assisting on Tommy Wood’s goal with 6:51 to play in the second that gave Armstrong a 2-1 lead. Crandall also helped set up an empty-net goal from Cole Goergen in the final two minutes, rolling with a line that Armstrong coach Todd Weisjahn said has been his most productive thus far. The Falcons need that to continue as they conclude their toughest week this winter. After losing 9-2 to No. 2-ranked Minnetonka on Tuesday, Dec. 20, they travel to No. 3 Maple Grove for a 7 p.m. face-off on Thursday, Dec. 22. The Falcons say they know what they are up against – another deep, strong, fast and talented team. Win or lose, Crandall said there is plenty to be gained, the most important of which could be something the Falcons can ride for the next two-plus months. For the record, Crandall is glad to just be hanging with his own guys again. Off the ice, he never left last year, noting that being with the team helped ease his mind. But there is nothing like playing, and regardless of how this week – or the rest of the season, for that matter – plays out, he wants to enjoy being back on the ice.